Someone asked me what a catfish looks like on the bottom recently. 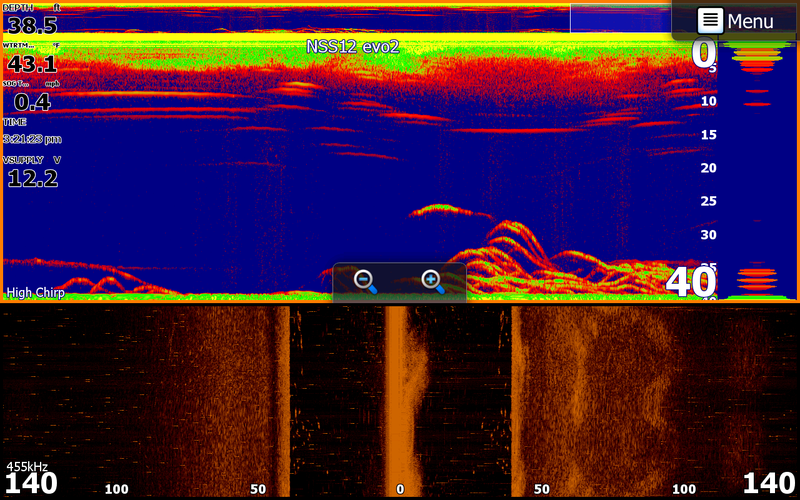 Using High Chirp you can see a Catfish right on the bottom to the left of a couple Stripers. 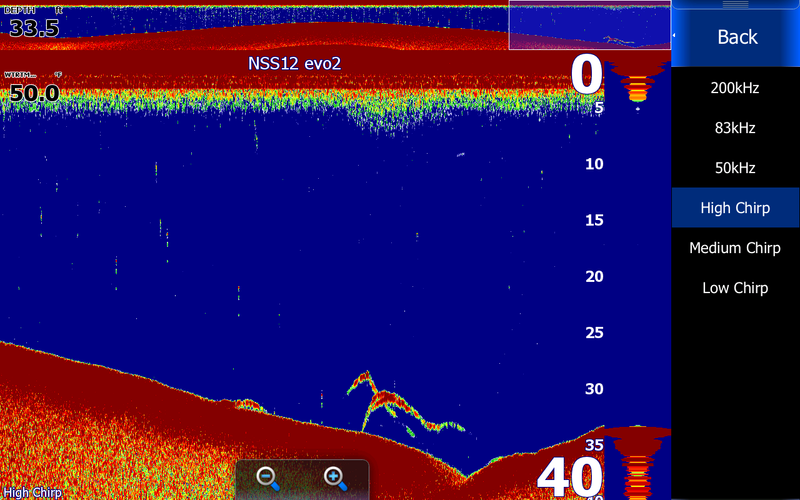 This screen shot was taken off of a HDS-12 eathernetted to a Simrad NSS12. This is a school of Stripers on a 40 foot flat outside the power plant. 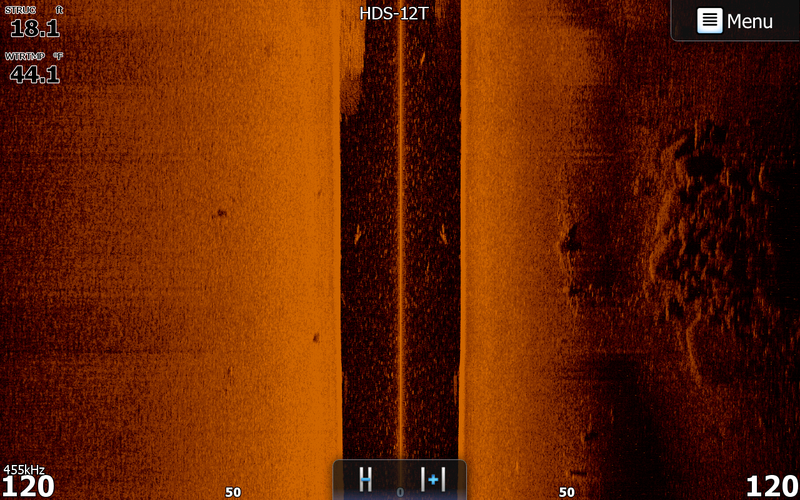 In this shot we are scanning 120 feet out either side of the boat. On the left the bottom is barren. Out to the right side of the boat 70 to 120 feet from the boat is a bunch or rocks. Without Structure scan an angler would have never known the rocks were there. A simple touch to the screen over the rocks would have placed a waypoint on the rocks that you could revisit at any time. Think you should mention what transducer you are using. Maybe explain a bit about a true medium chirp TM150M vs the HST-WSBL that enables limited chirp bands. I know both work, but likely many are uninformed as I. Cabin fever season might be a good time to share and get newbees pointed in the right direction.